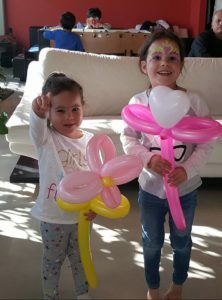 DOODAD MAGIC – AMAZING MAGIC AND MORE FOR ALMOST ANY EVENT! Amazing magic and much more for just about any audience and any event! 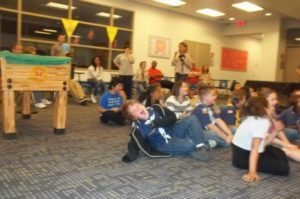 Parents agree, Doodad is the most beloved magician for kids in Nevada! 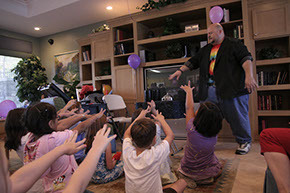 His fun, family style magic show makes your event or party the success you want. 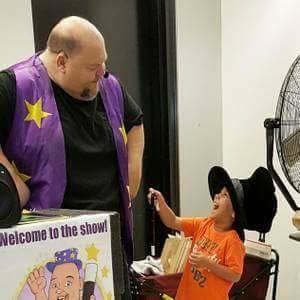 During his dynamic, interactive comedy, fun and kid friendly magic he transforms your child into a magician and they become the star! 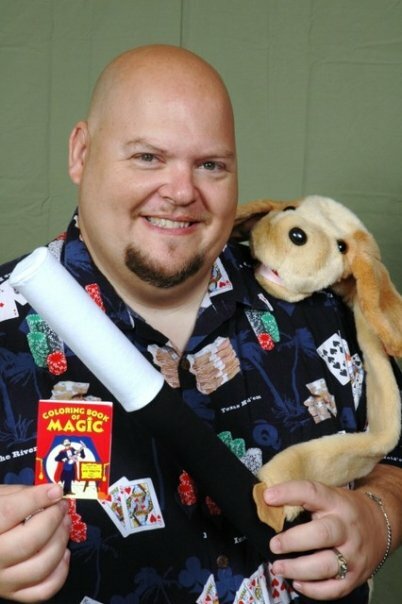 Doing magic since the age of 9, Doodad has years of experience to bring to your event! Doodad’s magic show is a great choice for parents looking for a professional and quality performance. With thousands of birthday parties, library shows, school assemblies and day care shows performed, Doodad has the experience to make your party or event the most fun for your child and family! He has worked with every kind of audience from 2 people to 400. He has done shows for Opportunity village, Easter seals and knows how to work with special needs kids and adults. Doodad has performed in almost every size location there is and can adapt his show to whatever you need.Specializing in parties for younger children (3yo and up) Doodad can handle almost any situation that may come up. Fantastic, jaw dropping magic combined with hilarious comedy makes for a great interactive show! The show can be tailored to suit your time needs. 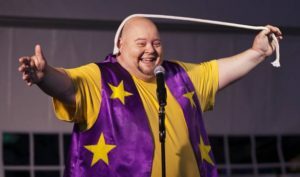 You also have several characters to choose from with the magic show. You can have a Pirate magic show, a Circus show, a Halloween themed show, even a Santa Christmas show! 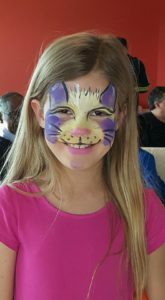 Doodad also offers some of the best Face Painting in Las Vegas! We have several top painters available as part of a combination package. 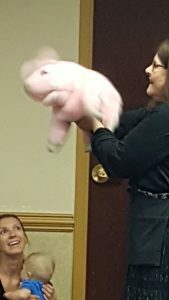 Doodad Magic is happy to offer puppet shows for the younger crowd that will keep the kids laughing and happy. Just ask when booking your party about pricing and availability. Each of the young party guests will get a magic wand, too! A 45 minute show that includes everything in the Full House package. A special Doodad magic kit for the birthday child! Perfect for the budding magician. 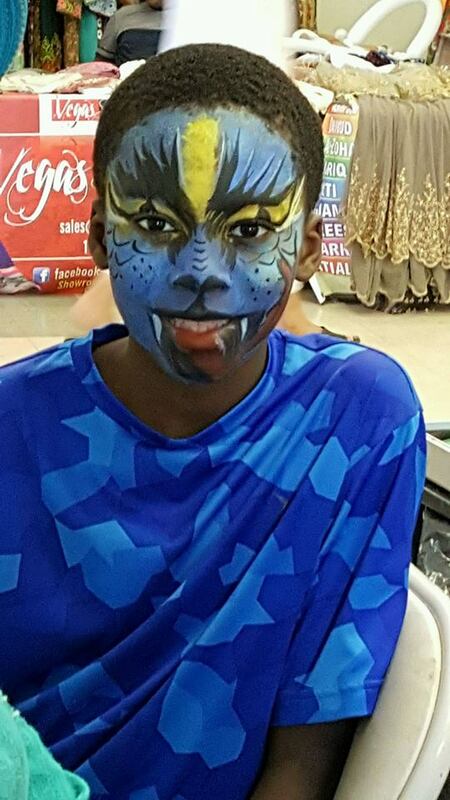 1 hour of face painting by one of our fantastic artists! Superheroes, Disney® characters, PAW Patrol®, or anything else the child wants on their face or hand. our face painters not only have years of experience, they know the proper kinds of paints to use. (Many so called face painters use inferior paints that can damage the skin.) Usually, our painters can paint 15-20 kids in an hour. If you have more guests, there will be a small extra fee. Don’t forget to add a Doodad special Magic Kit and Goody Bags! The goody bags contain several easy to do magic tricks and a magic book. It will also have other fun items like toys and stickers. This will save you lots of time and money trying to put together goody bags for all the kids while you are planning everything else. Let Doodad take care of the entertainment so you don’t have to worry about it! 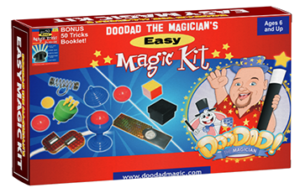 The Doodad magic kits are great starter kits for kids that want to amaze their friends! Book Doodad for your next event now!